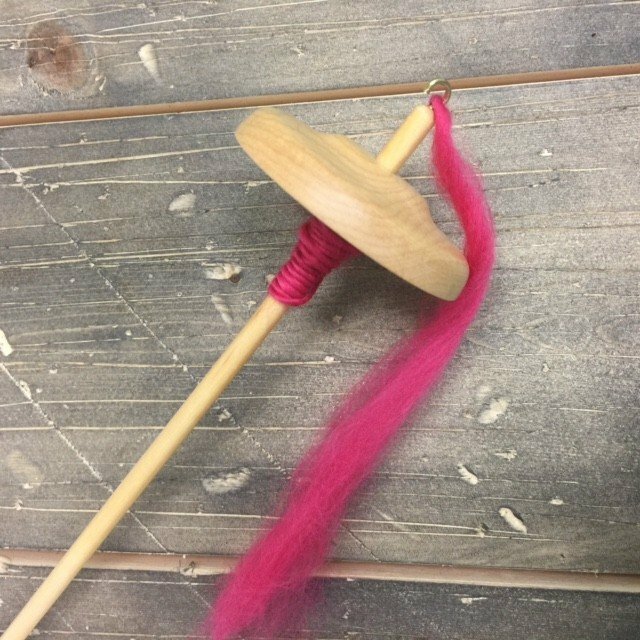 Students will learn the basics of yarn construction, fiber content, fiber preparation and care, all while spinning 50 grams of roving into your own hank of yarn! Part 1 of the class will have you adventuring into drafting the roving. Parts 2 and 3 will cover plying the singles. Give it a try; you can do this! Materials Included: Six hours of class instruction and a 10% off discount coupon for Makers' Mercantile merchandise and class supplies, including Makers Cafe. Requirements: 50 grams of Roving ; 1 - Schacht 2 inch HiLo Spindle 1.1 oz ; Optional Supplies: Wraps per inch gauge, Niddy Noddy and Spinner Control Card.